As the biometric system has been installed in offices across the state during the last one year, many fail to make it in time. LUCKNOW: For a long time, attendance in government offices was a mere formality and many used to turn up any time as per their convenience. 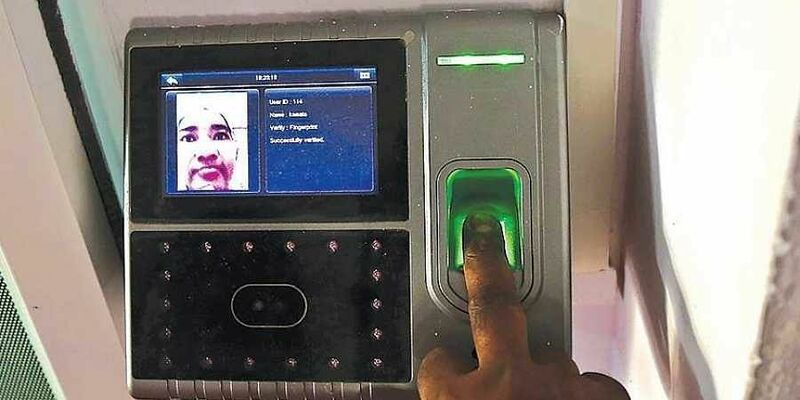 The introduction of biometric attendance system in offices across Uttar Pradesh during the last one year made the life of such habitual late-comers difficult. 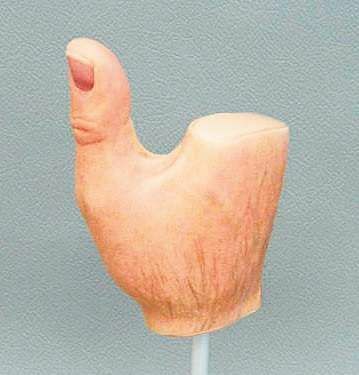 The solution to their problem came from rubber stamp manufacturers, who diversified into the business of casting prosthetic thumbs carrying the impression of the specific customer. They are doing a roaring business by selling these fake thumbs at Rs 300 per piece in eastern UP districts like Varanasi, Chandauli and Azamgarh. The fake thumb manufacturers cater to clients from across the sectors — from government and private employees who want to get their proxy attendance registered to those who are into the hacking of fingerprint passwords of computers, laptops and smartphones. Those who work at Jan Seva Kendra also need these thumbs to be used while preparing ration cards, pension documents etc. Even those buying SIM cards and procuring fake wills and property documents use these thumbs. In Varanasi, these prosthetic thumbs made of silicon rubber are available for just Rs 60-100 but in smaller districts like Ghazipur, Azamgarh and Chandauli, they cost between Rs 300 and Rs 500. But the menace is rampant. “I get at least one customer daily,” said a stamp maker in Varanasi. Establishing a ‘thumb’ manufacturing unit demands a low investment of just I1 lakh. It requires a small space, a computer or laptop, scanner and casting machine. Initially, Varanasi market used to supply the thumbs to neighbouring districts but now the trade has expanded. This is great news! Explains why Aadhaar is such a resounding success.